Coming to the last page of Neil Gaiman’s The Ocean At The End of The Lane, I put the book down reluctantly, and made a mental list of all the things that are taboo for any attentive reader. Do not wish for a fairy tale life, for example, unless you want to find yourself trapped in the Baba Yaga’s house, or eaten by an unscrupulous wolf, or forced to dance through eternity in a pair of red shoes. Do not wish for your friends that all their dreams come true, unless you really dislike them. CS Lewis explained why in Voyage of the Dawn Treader, when the ship turns away from the island where dreams come true. When, he suggested, you remember certain dreams you’ve had, the ones that make you afraid of going to sleep again, you will run from lands where dreams come true. Childhood, like fairy tales and dreams, is much misunderstood, but that is inevitable. The hippocampus doesn’t store what must be the most intense of memories: birth, the momentous shock of the discovery of the world, and the powerful emotions of the first three years of infanthood. For the next two years of their lives, children have language, but not the vocabulary required to express immensely complex feelings. The “innocence” projected onto the childhood years is little more than a term for “hasn’t discovered tax returns yet”. 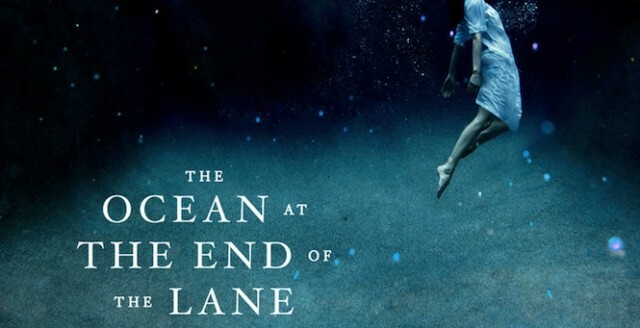 The Ocean At The End of The Lane is Gaiman’s fifth novel for adults. It will be read by a very different set of readers in India and elsewhere than the millions of fans who know him for his iconic graphic novels and his children’s fiction. The plot is simple. After a funeral, a man wading through middle-age finds himself driving towards his boyhood home. The bumpy lane, a dilapidated farmhouse, and a scummy pond bring back memories long left undisturbed, and tumble him back into childhood again. There are monsters, who may or may not be merely adults looming over a child, exercising the weapons of unfairness and “Because I said so”. The duckpond might be an ocean; the three women who live in the dilapidated cottage may not be what they seem. There are two kinds of children’s writing: one is make-believe, the essentially benign world of an E Nesbit or an Enid Blyton, where the most harm that could come to a child is in the form of skinned knees or a scolding from an adult. The unspoken laws of these worlds is that no real darkness will intrude; nothing that cannot be fixed by an ancient amulet or a midnight feast will be allowed into these pages. There’s also realist fiction that features children as protagonists—Emma Donoghue’s The Room, William Golding’s Lord of the Flies—but that’s a different breed of books all together. Gaiman practises the second, and to my mind, superior way of writing about childhood. “Small children believe themselves to be gods, or some of them do”, he writes, and they can be monsters. As gods, they expect the world to fall into line; as monsters, they do not actually remember being monstrous. “I just remember wanting my own way.” Then they grow a little older, and learn that childhood is, truly, a time of magic, and it is, equally undeniably, a time of powerlessness. Both collide in The Ocean At The End Of The Lane, which is likely to have a long shelf life. Gaiman handles the fantasy elements—a friend who has the serenity of a witch, the conjuring of monsters out of nannies, the transformation of home into horror—with his usual flair. But what he does best is to write about childhood in a way that might make adults stop, and remember, and perhaps break their hearts a little. The greatest comfort in all the book is elementally childish—the comfort of food, of apple pie and custard, roast beef, tomato and cheese sandwiches, nothing too fancy; as though the simplicity of a meal among friends can make up for some of childhood’s fears. Right at the end, Gaiman asks a disturbing question. Do you really remember your childhood, all of it, the way it happened? If the world was truly full of magic—both the good and the evil kind—would you remember it, or would your adult self airbrush the giants and the witches, the rakshasas and the angels, out of memory, turning them back into safe stories? If you look very hard for monsters under the bed, perhaps all you’ll find is dustballs. And perhaps, suggests Gaiman, echoing some of the greatest of children’s writers, monsters do exist. They’re just very good at pretending to be dustballs, when an adult raises the bedcover and looks under the bed. Small error though: This isn’t Gaiman’s second novel. He’s written at least three other adult novels: Neverwhere, American Gods and Anansi Boys. (He also wrote Good Omens in collaboration with Terry Pratchett.) He also wrote a few children’s novels: Off the top of my head – Graveyard Book, Coraline and Stardust. Thanks for the correction–it was a clumsy editing error on my part, merged two longer paras into one and didn’t check as carefully as I should have. The original sentence read, “only the second novel he’s written for adults in the last ten years” or some such; it was clunky, so I chopped it without looking carefully.